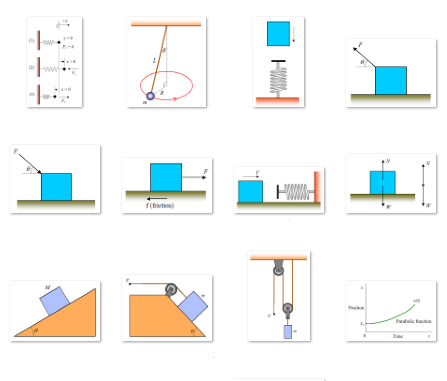 If you're a teacher, creating physics diagrams for classroom use can be a time consuming task. 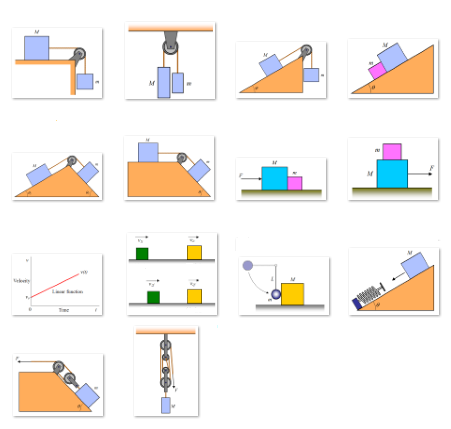 To assist in this regard I created an assortment of diagrams, as commonly used in physics courses. Having generic diagrams is also useful because you can add problem specific information to them, such as labels and force vectors. 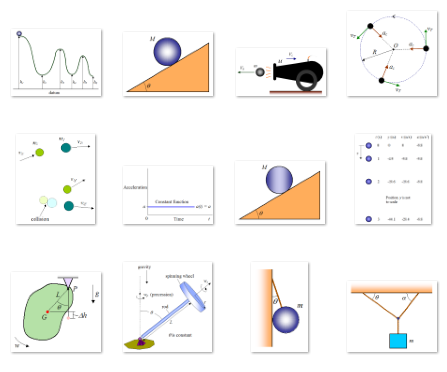 The physics diagrams are listed under their corresponding branch of physics. 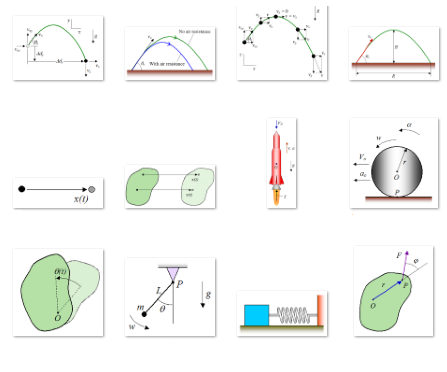 The figures below show a thumbnail view of the diagrams, which can be downloaded in their full size. The download file is in "zip" format and must be uncompressed before you can access the diagrams. There are a total of 50 diagrams. They are in PNG format. The diagrams are high quality and range in size from 255×723 pixels to 1099×554 pixels.